The STMC1080 are high side current sense monitors with a voltage output and a fixed gain of 10. 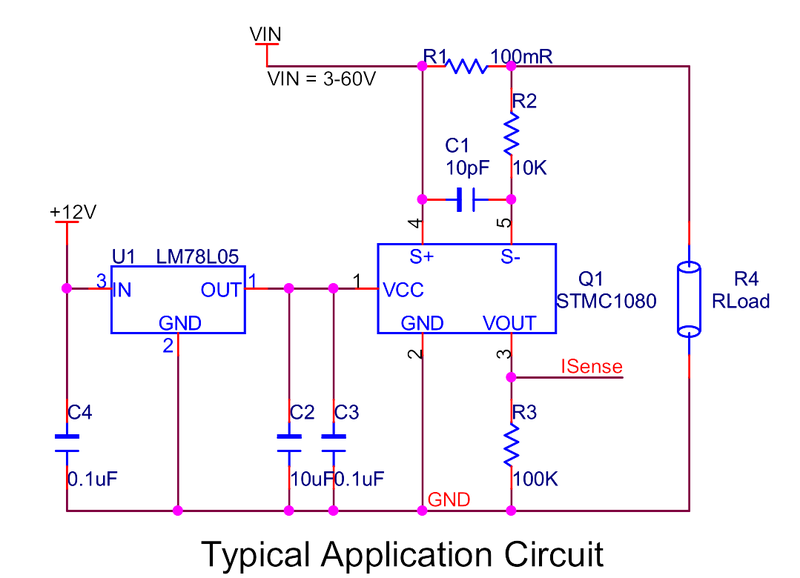 Using this device eliminates the need to disrupt the ground plane when sensing a load current. The wide input voltage range of 60V respectively, down to as low as 3V make it suitable for a range of automotive applications with 60V load dump withstand capabilities. The separate supply pin (Vcc) allows the device to continue functioning under short circuit conditions. The STMC1080 have an extended ambient operating temperature range of -40°C to 125°C enabling it to be used in a wide range of automotive applications including. The STMC1080 have been qualified to AEC-Q100 Grade 1 and are Automotive Grade supporting PPAPs.